This unofficial DVD from Chrome Dreams is a must for all fans of Industrial. I mean when are you ever going to get something else that delves this deep into a genre that you love? Whilst the main focus is on Nine Inch Nails, and it might annoy a “pure” fan that the lovely narrator for this, along with the horde of well informed journalists that contribute, spend about three-quarters of the time kissing Mr. Reznor’s bum. It needs to be pointed out right now though, that they have every right to smack their lips right on there. Like it or not, Nine Inch Nails are responsible for bringing the genre into the mainstream and this disk is a testament to that. Before the puckering begins however, there is a very decent amount of background into the origins of the genre. There is a brief look at the careers of Sheffield’s own Cabaret Voltaire and London’s Throbbing Gristle respectively. Both acts came from out of the 70s punk movement in the UK and the move toward America in the mid-1980s and a hybrid of electronic music and rock that was packed full of angst, anger and venom and fuelled by the likes of Ministry and Skinny Puppy who were intent on revolting against the mainstream and giving the new alternative nation a strong voice. 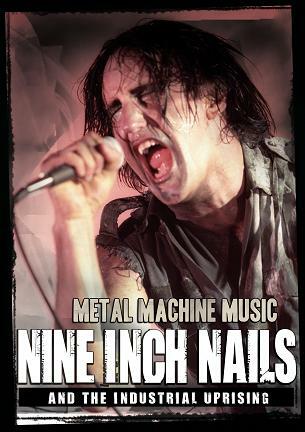 Of course, this leads us nicely into Nine Inch Nails‘ prime time from the late 80s to mid-90s with short and informative documentaries on each album from 89’s ‘Pretty Hate Machine’ to 08’s ‘The Slip’. Other topics discussed include Trent’s addictions, his recovery and recording in the infamous Tate house (where the infamous Charles Manson killings took place) and they are dealt with in an informative way and without any kind of regurgitation from the countless articles you will have read previously. As ever with these unofficial things, it doesn’t beat something that might come from the ‘horses’ mouth’ so to speak, but it’s certainly worth watching. There are some great interview clips with Gristle member Genesis P-Orridge, 16 Volt’s Eric Powell and Chemlab’s Jared Louche. These artists are there to add a more balanced approach to the narrative. 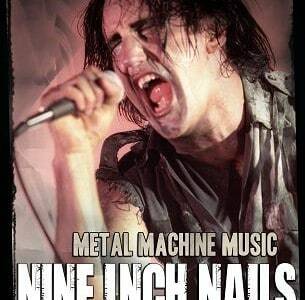 The most entertaining clips however find former NIN-man and current Filter vocalist Richard Patrick recounting his days as part of the band and the brutal beatings he took during Nails‘ controversial rise to fame. For any fan, even the Industrial music purist, We heartily recommend this to you. For more information visit the Chrome Dreams website.